Medicare is supposed to provide up to 35 hours a week of home care to those who qualify, but many Medicare patients with chronic conditions are being wrongly denied such care, according to Kaiser Health News. According to the Kaiser Health News article, confusion over the law is one part of the problem. 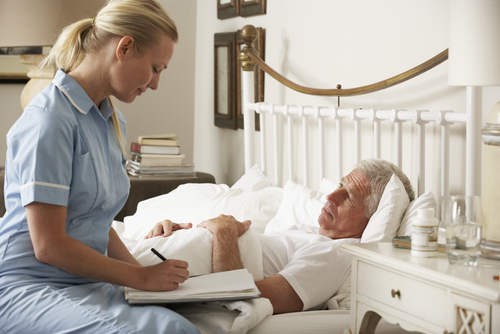 Another issue is that home health care workers are afraid they will not get paid if they take on long-term care patients. In an effort to crack down on Medicare fraud, Medicare is more likely to audit providers who provide long-term care. This encourages providers to favor patients who need short-term care. In addition, Medicare’s Home Health Compare ratings website may be having a negative effect on home health care agencies' willingness to provide for long-term care patients. One measure of care qualify is whether a patient is improving. Because long-term care patients don't necessarily improve, they could lower an agencies rating. Also, under a rule that just went into effect, home health care agencies cannot dismiss a patient without a doctor's note. This may make agencies even more reluctant to take on long-term care patients. If you are wrongly denied Medicare home health benefits, you can appeal. You may have to be persistent to get coverage. The Center for Medicare Advocacy has a self-help packet for navigating appeals.